Thanks to your feedback, Swimia has become in just quite a few months one probably the most vital sites of swimming pools. 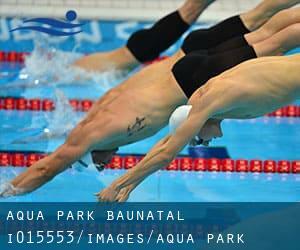 Here you've got all the info we know about Aqua-Park Baunatal, in Baunatal. Do you know the opening hours? Are they providing any course? What's the cost to get a single swim? Don't forget you can also promote this pool so Aqua-Park Baunatal will appear the first of Baunatal, or even the very first of one's country, make contact with us to know a lot more. Swimmers like you reported 25 meters, 6 lanes, 2 meters - 3.8 meters depth, 2 meters - 3.8 meters depth, Indoor/Outdoor. Phone number and e-mail address are number for this Swimming Pool. If you believe that any from the information and facts is incorrect, please get in touch with us. Assist us be better day-by-day. Updated on 2019 Großenbacher Tor , Huenfeld , GERMANY (Postal Code: 36088). This sports center provides 25 meters x 12.5 meters, 5 lanes, Indoors. Contact information for this Swimming Pool such as phone number and email address are number. Updated on 2019 Medebacher Landstrasse 25 , Korbach , GERMANY (Postal Code: 34497). Among all the activities supplied by the center, if you are interested in swimming you'll enjoy 25 meters, Indoors. Just in case you wish to contact this Pool before dropping by, we only know the phone number. Updated on 2019 Schlesienstraße 23 , Bad Arolsen , GERMANY (Postal Code: 34454). This sports center offers 25 meters x 7 meters, 3 lanes, 1.8 meters depth, 1.8 meters depth, Indoors. Contact info for this Pool which include phone number and e-mail address are number. Updated on 2019 Kurt-Schumacher-Strasse 2 , Kassel , GERMANY (Postal Code: 34117). This sports center offers 25 meters x 16.66 meters, 6 lanes, Indoors. For this Swimming Pool, only phone number is number here. Leipziger Strasse 99 , Kassel , GERMANY (Postal Code: 34123). This sports center offers 25 meters x 12 meters, Indoors. For this Swimming Pool, only phone number is number here. Updated on 2019 Heinrich-Plett-Strasse 81 , Kassel , GERMANY (Postal Code: 34121). Among all the activities supplied by the center, for anybody who is considering swimming you are going to appreciate 25 meters x 12.5 meters, Indoors. Just in case you want to contact this Swimming Pool prior to dropping by, we only know the phone number. Updated on 2019 Am Hallenbad , Oedelsheim , Oberweser , GERMANY (Postal Code: 34399). This sports center provides 25 meters, 4 lanes, Indoors. For this Pool, only phone number is number here. Stresemannstrasse 2 , Bad Wildungen , GERMANY (Postal Code: 34537). Among all of the activities offered by the center, if you are interested in swimming you will enjoy 25 meters, 5 lanes, Indoors. If you have to get in touch with this Pool, email address and phone number are both number. Kolpingstraße , Bad Hersfeld , GERMANY (Postal Code: 36251). Among all of the activities provided by the center, for anybody who is interested in swimming you are going to take pleasure in 25 meters, Indoors. Just in case you want to make contact with this Swimming Pool prior to dropping by, we only know the phone number. Updated on 2019 Brueder-Grimm-Strasse 11 , Vellmar , GERMANY (Postal Code: 34246). This sports center gives 25 meters, Indoors. For this Swimming Pool, only phone number is number here. Updated on 2019 Schöneberger Straße 16 , Hofgeismar , GERMANY (Postal Code: 34369). This sports center offers 25 meters, 6 lanes, Indoors. Contact information and facts for this Pool which include phone number and email address are number. Updated on 2019 Magdeburger Straße 97 , Fulda , GERMANY (Postal Code: 36037). Among all the activities provided by the center, when you are interested in swimming you can expect to take pleasure in 33 meters x 21 meters, 1.8 meters depth, 1.8 meters depth, Indoors. Just in case you need to contact this Swimming Pool before dropping by, we only know the phone number. Updated on 2019 Esperantoplatz , Fulda , GERMANY (Postal Code: Unknown). Among all the activities provided by the center, when you are thinking about swimming you'll enjoy 25 meters, Indoors. Just in case you want to make contact with this Swimming Pool just before dropping by, we only know the phone number.